The American Hair Loss Association reports that two-thirds of men will most likely begin to see the first signs of hair loss by age 35. On the other hand, at least half of the women start to notice hair loss issues by the age of 50. Statistics also show that around 3% of children experience some kind of hair loss because of various causes. 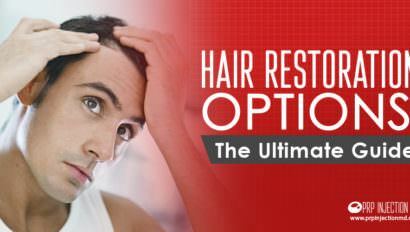 To combat the problem, modern day research has been looking for hair restoration options for the past 70 to 80 years. 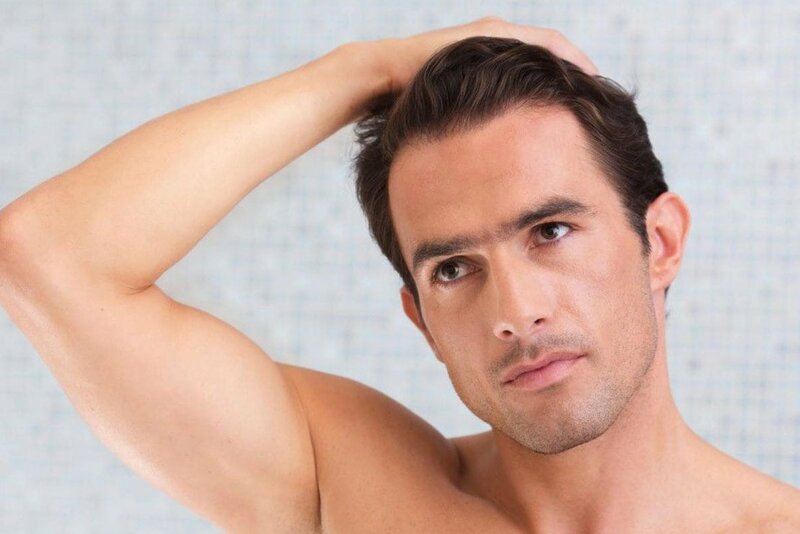 Hair loss is an issue that has been the bane of men and women forever. All through recorded history, doctors and medical practitioners have been looking for solutions for hair loss woes. Some of these solutions ranged from practical, to weird and ridiculous. So, you have tea, snake oil, powdered wigs (that became fashion statements), laurel wreaths (yes, they were actually invented to cover up Caesar’s balding patches) vacuum hats that stimulated blood flow to the scalp, light hats, electric hats that delivered minor shocks and so on. Today, you can choose from a range of options that are truly effective in helping you reverse the issue and stop the hair loss. Here’s everything you need to know. Interestingly, one hair loss restoration technique that has endured over the years is hair transplant that was first discovered in 1939 by Dr. Shoji Okuda. Considered the pioneer of the procedure, Dr. Okuda harvested hair follicles from the back of his patients’ scalps and inserted them into other areas to give the impression of having more hair. This technique did not garner much interest until 1959 when Dr. Norman Orentreich published his work along similar lines in the New York Academy of Sciences Journal. His findings became the basis of hair transplants as we know today. Over the next 20 years or so, hair transplants continued to be used along with other approaches such as hair weaving, synthetic fiber implants, scalp loosening, scalp tightening, even removing the bald areas of the scalp. And, well, going bald. Currently, doctors are performing three kinds of hair transplants on patients. 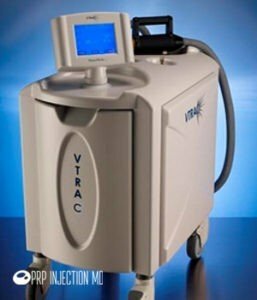 These procedures are advanced versions of the techniques developed by Dr. Okuda and Dr. Orentreich. Follicular Unit Transplantation (FUT): This is a technique where strips of scalp are cut from the back of the head that is more resistant to hair loss. Later, these strips are dissected into smaller subsections for implantation onto the bare areas of the scalp. Follicular Unit Extraction (FUE): Instead of harvesting entire strips of scalp, doctors using the FUE specialized device extract individual hair follicles that are later implanted much like in FUT. Multi-Unit Hair Grafting (MUHG) hair restoration options: The MUHG technique was first developed by the PAI Medical Group and takes into consideration various factors such as the texture of the hair, color of the scalp and hair at different locations on the head, and the tendency of each plug of hair to curl. Using micro and macro multi-unit grafting, doctors attempt to give the patients more realistic results by matching the donor and implant sites for a better coverage, improving hairlines and density. This procedure is available for both men and women. 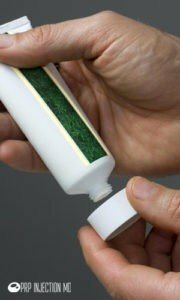 Minoxidil (Rogaine and Extra Strength Rogaine for Men): The first lotion to promote the growth of hair is minoxidil, a drug that was first invented in 1978, but finally approved by the Food and Drug Administration as a solution for hair loss in 1988. Originally used for controlling hypertension, Minoxidil is a colorless, odorless lotion that can be rubbed on the scalp in the balding areas. By 1995, it became available as an over-the-counter 2% or 5% product that could be bought at any drugstore or supermarket. It is recommended for both men and women. Minoxidil is available in two forms, topical solution and foam. The solution must be applied according to the instructions of your doctor, typically 1 milliliter twice a day. Half a capful of the foam can be applied twice a day and spread with the fingers over the hair loss area. Corticosteroids (Kenalog, Triderm, Diprolene, Synalar-HP, Clobex, Cormax, Embeline, Temovate) : Available in the form of a lotion, gel, or foam, corticosteroids include mometasone, hydrocortisone, and betamethasone. When used under the supervision of a medical practitioner, corticosteroids can promote hair growth. Lewis Sarett of Merck & Co. first developed corticosteroids during the 1950s. Diphencyprone (DPCP): Used in Immunotherapy, this chemical solution can stimulate the growth of hair, but can also have side effects. A study conducted on a group of patients with hair loss issues ranging from mild to severe showed that after a weekly treatment of DPCP over 12 months, half the patients showed favorable results. Anthralin (Dithranol Cream): Anthranil works much like immunotherapy and studies have shown that when a 0.5% to 1% strength cream was applied on the scalp of a group of patients, 25% noticed positive results. Tacrolimus (Prograf, Advagraf, Protopic): Available in 0.1% ointment, Tacrolimus is applied twice a day for 24 weeks. However, research has shown that corticosteroids ointments and injections may give you better results as compared to tacrolimus. Bexarotene: Studies have shown that the Bexarotene 1% gel when applied on the hair loss sites has helped about a fourth of the patients being treated. This formulation is also available as an oral medication. Capsaicin: When used along with isoflavone for four weeks, capsaicin has the effect of promoting hair growth. In addition, patients in the study reported that they continued to see positive results for 5 months after the treatment. You can apply the cream twice a week for a two weeks. Garlic: Considered a home remedy for hair loss reversal, scientific research has found that garlic applications are actually effective in helping people manage the condition. Garlic may also give you better results as compared to options like betamethasone, a kind of corticosteroid. Prescription Ketoconazole (Nizoral): Available by prescription as a 2% formulation, Ketoconazole shampoo is believed to induce the growth of hair. It was first developed by Janssen Pharmaceuticals in 1976. Over the Counter Ketoconazole: This product is also available over-the-counter as a 1% formulation. It is believed to have similar effects but at a lower potency than the prescription version. Finasteride (Propecia): A medication used for treating enla rged prostate glands, finasteride was allowed by the FDA to be tested as a hair loss solution in 1990. It became available as an over-the-counter pill for reversing hair loss in 1998. Finasteride is not recommended for women. Spironolactone (Aldactone): Recommended for women, Spironolactone acts as a diuretic and is also effective against hypertension. Depending on your hair loss issues and the instructions of your medical practitioner, you might be asked to take a dosage of 75 mg to 100 mg once or twice a day. Patients have talked about noticing positive results within 3 months of beginning treatment. Systemic Corticosteroids (Prednisone): These medications can be used over short time periods for hair growth. However, studies have shown that about half the patients noticed that the hair loss had restarted a short time after stopping the treatment. In addition, you might have to deal with several possible side effects. Sulfasalazine (Azulfidine, Azulfidine EN-TABS): This medication is given in doses of 500mg twice a day that is gradually increased to 1g three times a day. Studies were conducted on patients that were taking a combination of oral corticosteroids and sulfasalazine from 2 to 6 months. It was found that when the corticosteroids were gradually withdrawn and the patients relied only on sulfasalazine for 4 to 12 months, they continued to notice steady hair growth and hair loss reversal. Azathioprine (Imuran): Therapy with azathioprine is based on the results of a study that revealed how patients suffering from IBD (Inflammatory Bowel Disease) seem to show hair fall symptoms also. Hair loss is possibly the result of deficiencies in vitamins caused by IBD. When azathioprine is given in dosages of 2g per day, it helped calm the symptoms of IBD and also reversed hair loss. Cyclosporine (Gengraf, Neoral, Restasis, Sandimmune): Recommended only for patients with severe hair loss issues that have not responded to other forms of treatment, cyclosporine should be only taken in the exact dosage as recommended by your doctor. Typically, the medication is taken twice a day, without or without food. Research conducted on a group of patients using cyclosporine showed that close to 75% of them noticed significant improvement in their hair loss. Methotrexate (Trexall, Rheumatrex): A medication that can be used by itself or in conjunction with other treatments, methotrexate may be prescribed by your doctor once or twice a week. However, this medication has several possible side effects and contraindications, and should be used with caution. Oral Zinc Sulphate (Solvazinc®): A supplement that balances the levels of the mineral zinc in your body, it should be taken just before bedtime with water. Zinc sulphate therapy is based on the fact that zinc deficiencies can lead to hair loss and by replacing the levels of zinc in your body, you can reverse the condition. 9 of 15 patients in a study group taking zinc supplements for 12 weeks noticed that their hair loss symptoms were much improved. Bexarotene ( Targretin®): You can take it once a day at preferably the same time, with food and water. The medication belongs to the class of retinoids and should be taken under the supervision of your medical practitioner. Cimetidine (Tagamet): Recommended only for women because of the possible feminizing side effects it can have, the medication is a kind of histamine blocker and is used for treating gastrointestinal ulcers. Out of a group of 10 women who were given 300 mg of the medication, five times a day, 8 of the women noticed good hair regrowth in the 9 months of the treatment. Corticosteroid injections are given in the scalp in the bare areas and can stimulate the growth of new hair within 4 weeks without any possible side effects. However, the treatment is ineffectual in reducing hair loss. Studies conducted by Abell and Munro on a group of patients showed that when the 3 ml of the injections were given at intervals of 4 to 6 weeks, 71% of them reported better hair growth. These effects lasted for about 9 months. Photochemotherapy is also called PUVA, acronym for Psoralen Plus Ultraviolet with the A for the section of the light spectrum that ranges from 320 to 400 nanometers in wavelength. Psoralens are compounds that are contained within plants. The compounds have the capability of absorbing the UV A rays of sunlight. When taken by way of a medication or applied on the skin, psoralens can interact with your DNA to treat certain conditions including hair loss. 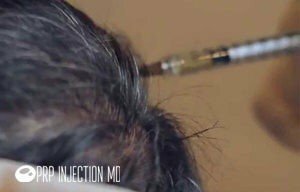 The doctor applies a diluted psoralen solution to the hair loss areas and then wraps the scalp. The solution is left in place for about 20 minutes. After that, it is exposed to Ultraviolet A radiation. The procedure is performed 2 or 3 times a week. About 70% of the patients noticed positive results in the 15 months after the therapy. 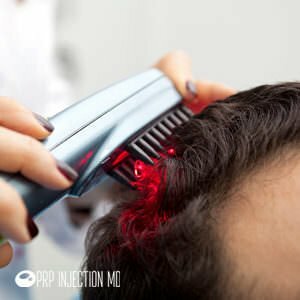 Low level laser therapy, also called Photobiomodulation, or Red/ Near-Infrared light therapy has been found to be a non-invasive and highly effective hair loss solution for both men and women. The use of the laser comb has been approved by the FDA under the brand name of HairMax LaserComb® as a safe option for reversing hair loss especially if it is caused by genetic factors or hormone imbalances. The rays emitted by the laser comb can stimulate the flow of oxygen and nutrient-rich blood to the scalp and nourish each hair shaft from the anagen or initial stages so that it is strengthened. Researchers have found that when patients used the laser comb for 15 minutes three times a week over a period of 26 weeks, they had lower levels of hair loss along with thicker texture and hair shine, and better scalp overall health. Experiments with helmets lined with lasers and LED lights are also underway. 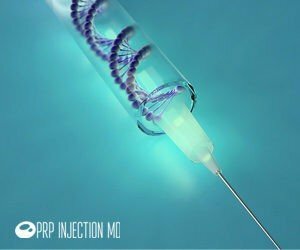 Platelet Rich Plasma (PRP) injections contain a serum created out of your blood. This serum is formulated by spinning a sample of your blood at high speeds. As a result, the plasma that is rich in growth factors, stem cells, and white blood cells is isolated. 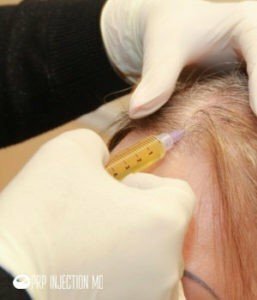 When this PRP is injected in minute quantities a few millimeters into the scalp, it can stimulate the development of new blood vessels and hair cells so that hair growth is induced. PRP can also stimulate the dormant hair follicles in your scalp to produce hair in addition to strengthening each hair shaft and stopping the hair loss process. In 2005, researchers studied a group of 23 patients that were given PRP therapy in specific areas on the scalp. They noticed an increase of more than 22 hair follicles per square centimeter of the scalp. Hair cloning is an innovative method to help patients deal with their hair loss issues where doctors use a few germinative hair follicle or stem cells and multiply them in the lab. These cells are then implanted into the scalp of the patient so that they can grow new hair. This modality can be used by both men and women. 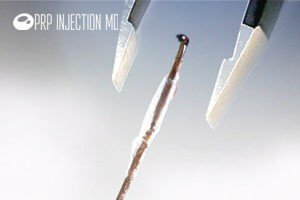 Yet another hair restoration option that is still in the experimental stage is the hair multiplication technique. 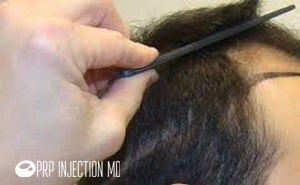 Doctors extract hair follicles by plucking them from the scalp to harvest the stem cells present in them. 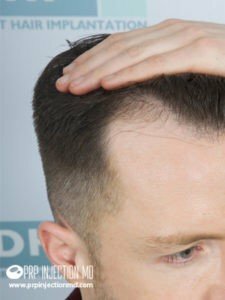 By implanting them in the bare areas, it is possible to get a fuller head of hair. A variation of this technique involves the harvesting of the stem cells from the beard area. Doctors are also attempting to harvest hair follicle stem cells from the bone marrow or umbilical cord for transplantation. Although in its initial stages of development, gene therapy can he used to reverse hair loss. Doctors must first isolate the specific gene that causes inherited alopecia. Next, they must understand how to alter the genes so that the proteins they create do not cause hair loss. But, at the same time, researchers must ensure that there are no undesirable side effects. The new genes must then be introduced into the body so that they initiate changes in the DNA structure of the body and stimulate the production of new hair. Aside from these scientifically proven hair loss solutions, you’ll find a range of natural products and foods that you can add to your diet or use for topical application. Some of the the solutions have been known to work although science has been unable to prove how that happens. 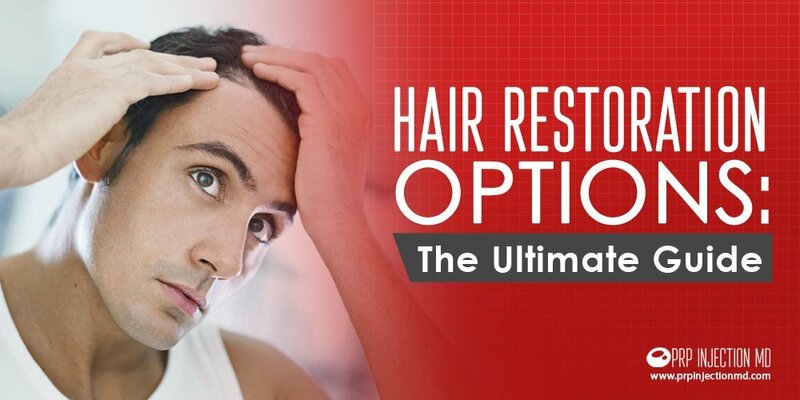 The hair restoration options that you have read about above are very effective in helping you with the issues you face. And, modern science is still working on developing better answers. Watch this page and we’ll keep it updated with the latest updates and information on the newest and best of hair restoration options. For more detailed information, please call this number: (888)-981-9516. Our consultants can answer all your queries. Thank you for your interest in PRP. Thank you for your interest in training for the PRP therapy. I see that you’re contacting us from a location outside of the US. Please call us at this number +1 (888)-981-9516. And, please do remember to add the +1 code. Our consultants will help you with all the detailed information you need.